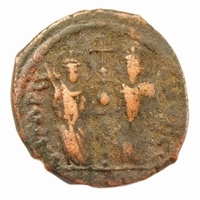 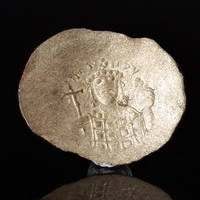 Obverse: Justin II on left, Sophia on right, seated facing on double throne, both nimbate. 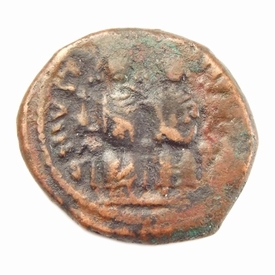 Legend: D N IVSTINVS P P AVG. 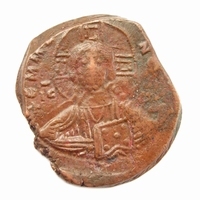 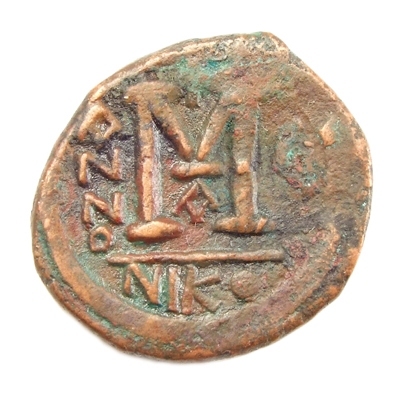 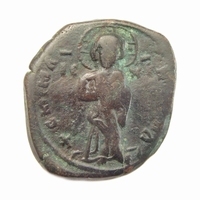 Reverse: Large M, ANNO to left, cross above, regnal year U to right, officina letter A below, NIKO in exergue.